The Discovery Gateway is an interactive, hands-on children’s museum in Salt Lake City’s Gateway District. Programs and exhibits encourage the whole family to learn about science, engineering, art, animals, music, and more. There are temporary exhibits too, and a daily offering of workshops and special activities for kids. The children’s museum features interactive exhibits for kids, including a beehive and garden where kids learn about the importance of bees, an obstacle course, and a kid-sized city with a grocery story, family farm, and construction zone. There are activities for interests ranging from scientific exploration, storytelling, painting, and music. 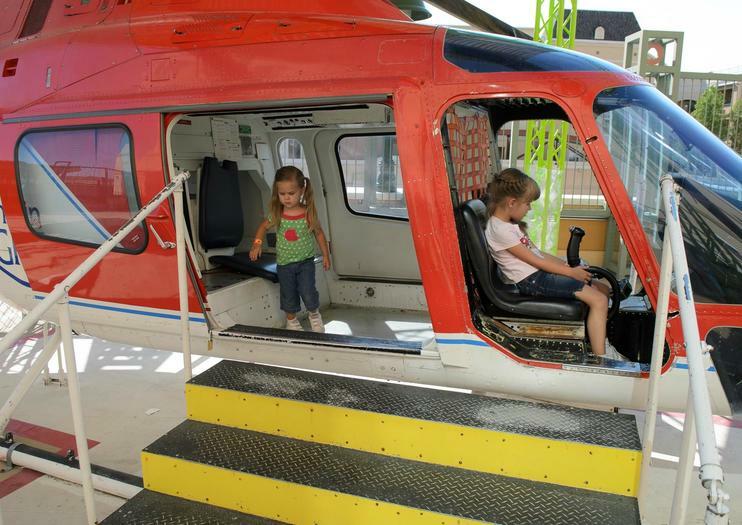 Families gravitate to this kid-friendly activity in downtown Salt Lake City. The museum provides educational materials in both English and Spanish. Discovery Gateway is wheelchair and stroller accessible. Discovery Gateway is located in The Gateway dining and shopping complex in downtown Salt Lake City, three blocks west of Temple Square. Take the green or blue TRAX line to the Gateway. The museum is also easily reached by car with convenient paid parking in the North Garage at The Gateway. Discovery Gateway Children’s Museum is open daily with limited hours on Sundays. The museum is a popular attraction for families so visit on Sundays or Mondays or first thing in the morning for a quieter experience. Special events and activities are offered daily; check the museum events schedule prior to your visit. Downtown Salt Lake City has no shortage of kid-friendly entertainment and adventure options. The Leonardo, Clark Planetarium, Natural History Museum of Utah, This is the Place Heritage Park, Utah’s Hogle Zoo, and Red Butte Garden all feature family-friendly activities and exhibits. Other downtown family-friendly options include seasonal ice skating at Gallivan Plaza and the gardens at Temple Square.